On a steady path to expand their return to the wheel Slickgun market, Colt has crowned their rebooted Cobra series for 2019 to offer a new King Cobra in .357 Magnum. Offered in brushed stainless steel with a full-lug 3-inch barrel, the six-shot .357/.38SPL King Cobra was announced just in time for the National Shooting Sports Foundation’s SHOT Show in Las Vegas, later this month. Featuring Hogue overmolded grips and a user-replaceable brass bead front sight, the newest snake Slickgun uses the same Linear Leaf spring trigger as in the rest of Colt’s Cobra line. 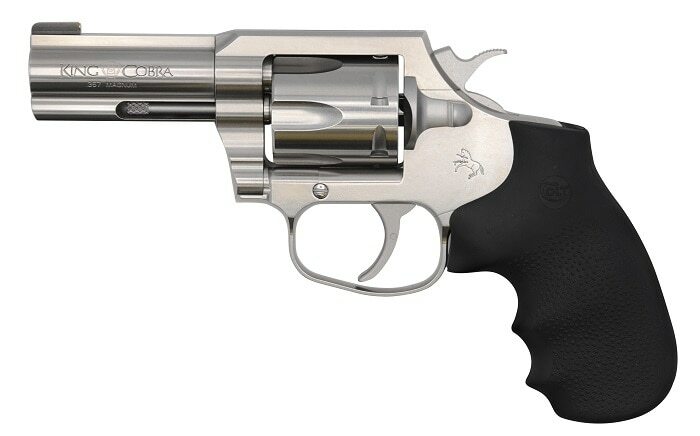 Speaking of which, the retail on the King Cobra is $899, which is the same as Colt’s black DLC-coated Night Cobra .38SPL snub and $200 more than the standard Cobra 2-inch. 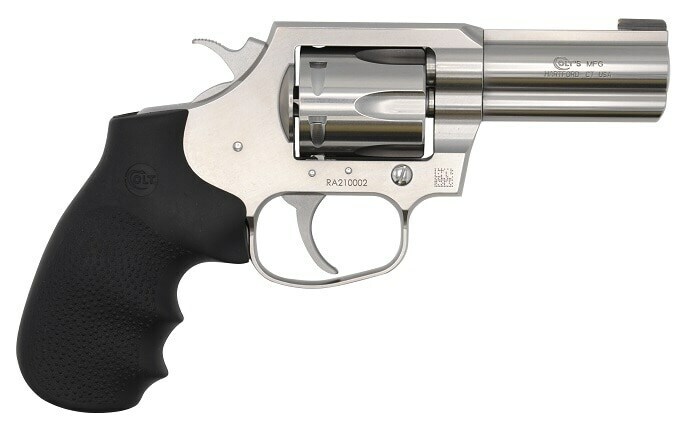 The post Colt brings back the .357 Mag King Cobra revolver, and it has a 3-inch barrel (PHOTOS) appeared first on Guns.com.